What if every feeling—even anger and fear—was bringing you vital information and wisdom? Emotions—especially the dark and dishonored ones—hold a tremendous amount of energy. We’ve all seen what happens when we repress or blindly express them. With The Language of Emotions, empathic counselor Karla McLaren shows you how to meet your emotions and receive their life-saving wisdom to safely move toward resolution and equilibrium. Through experiential exercises covering a full spectrum of feelings from anger, fear, and shame to jealousy, grief, joy, and more, you will discover how to work with your own and others’ emotions with fluency and expertise. 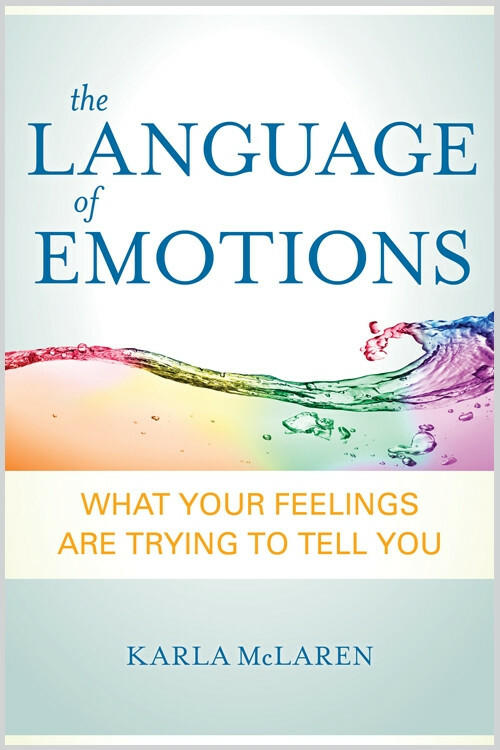 Here is a much-needed resource filled with revolutionary teachings and breakthrough skills for cultivating a new and empowering relationship with your feeling states through The Language of Emotions. Having read some reviews of the audio version of this book that were displeased with the pace/tone of delivery, I decided to buy the paperback version, and I am so glad I did. I was fascinated by the interview with Karla...so much so that I ordered two of her books. Unfortunately, I feel that Karla restates her premise on Empathy and emotion repeatedly without actually giving me the substance. Because I am empathic, I am able to intuit what she means...but that was not my intention when ordering her books. I was hoping for a clear treatise on empathy and emotion from a grounded perspective to add to my own experience and education. She has a vast and deep personal understanding of her subject but her writing lacks the concise clarity I was looking for. Both books are still by my bed and neither has been read through...her language apparently is not mine. Very disappointing. I was also struck by her about face on her healing career. Science goes a long way in explaining much that could be termed "psychic"
...but science has not yet explained, nor did Karla explain, how a healer is able to impact a state of body, mind or soul. Empathy is not the action that clears, aligns or restructures. Empathy "reads" the situation and sometimes offers a potential solution to that situation but empathy does not actively change the situation. The "placebo" effect might address a small percentage of healing responses and simple discussion and/or acknowledgement of certain stressors might address another percentage of healing responses...how does one explain away the rest? Is there even a need for an explanation?